If the Keyman icon is in the menu bar near the date/time, continue on to Step 5. If the Keyman icon is not in the menu bar, choose Keyman from the Input menu in the menu bar. 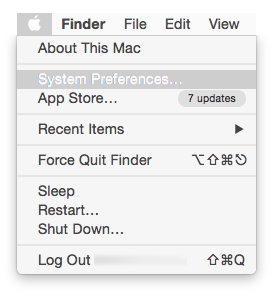 The Input menu appears in the menu bar only if you enable at least two input sources in Keyboard preferences. The Input menu is identified by a flag or character that represents the input source currently in use. If Keyman is not in the Input menu, Keyman for macOS is not added as an input source. 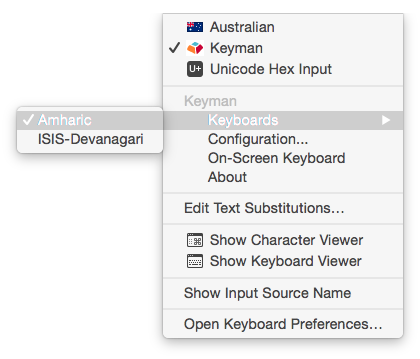 Follow steps 3 and 4 to add Keyman for macOS as an input source. Click Keyboard, select the Input Sources tab, and then click . In the left-hand pane, select Multiple Languages, and then select Keyman in the right-hand pane. 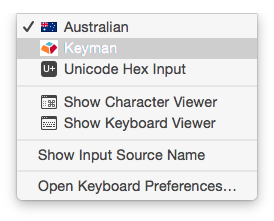 Choose Keyman from the Input menu in the menu bar. Keyman for macOS will now be active and the Keyman icon will be in the menu bar near the clock. On the Input menu, point to Keyboards, and then select a Keyman keyboard. Note: If the Keyman menu items are not available, please restart the computer. To become familiar with the layout of a Keyman keyboard, use the On-Screen Keyboard tool: On the Input menu, point to Keyman, and then click On-Screen Keyboard. Some Keyman keyboards do not include an On-Screen Keyboard. You will see a standard US keyboard layout if the selected keyboard does not include an On-Screen Keyboard. 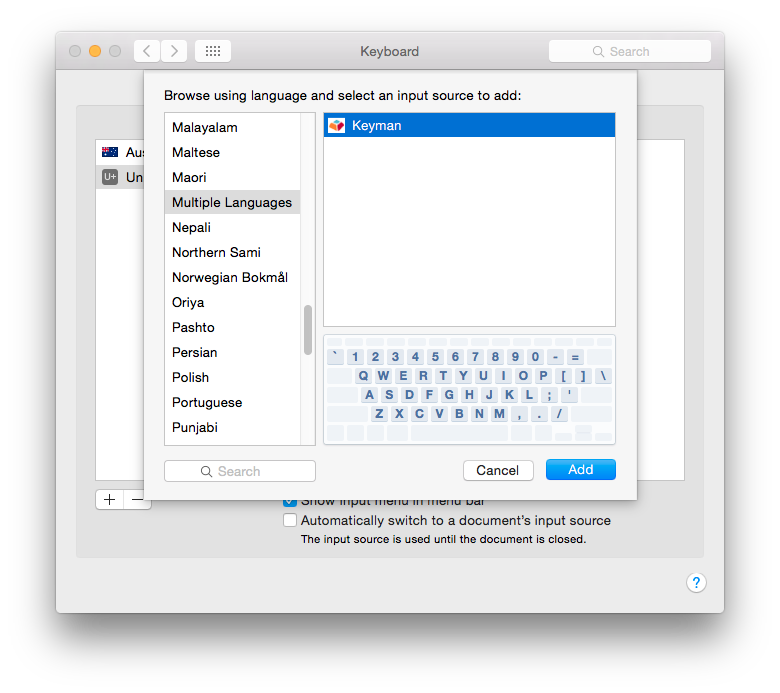 You can now start typing in your language in almost any application (e.g., TextEdit). Use your hardware keyboard or click the keys in the On-Screen Keyboard to type. To return to using your normal keyboard, choose your default keyboard from the Input menu in the menu bar.